(Bloomberg) -- Paul Manafort lied to the FBI, the Special Counsel Robert Mueller and a grand jury about a payment to a law firm and his interactions with Konstantin Kilimnik, a translator with whom Manafort worked in Ukraine and who Mueller claims has ties to Russian intelligence, a judge ruled after two closed-door court sessions to consider the issue. 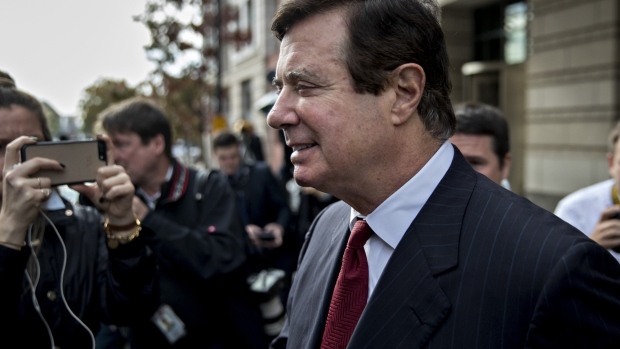 U.S. District Judge Amy Berman Jackson however found that Mueller failed to persuade her that Manafort lied over Kilimnik’s role in an obstruction of justice conspiracy and that he lied about his contacts with the administration of President Donald Trump. The judge said she won’t decide at this time whether Manafort should get credit for his acceptance of responsibility when she sentences him March 13. Berman Jackson said she’ll wait for further reports and arguments from the two sides.